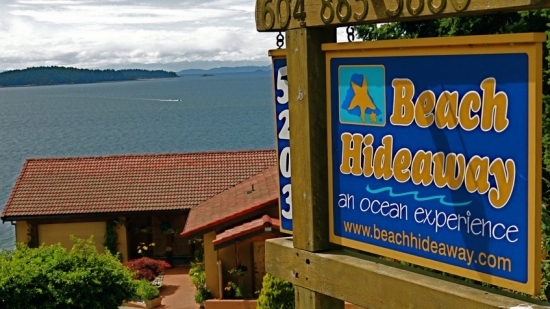 Beach Hideaway B&B and Spa Is located on the Sunshine Coast of British Columbia. 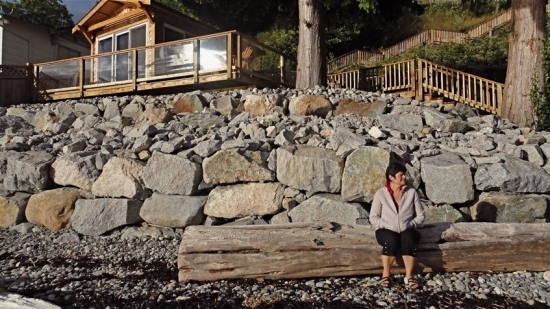 At the Beach Hideaway, we offer a waterfront accommodations with breathtaking views of The Georgia Strait, Vancouver Island and the lights of Sechelt. 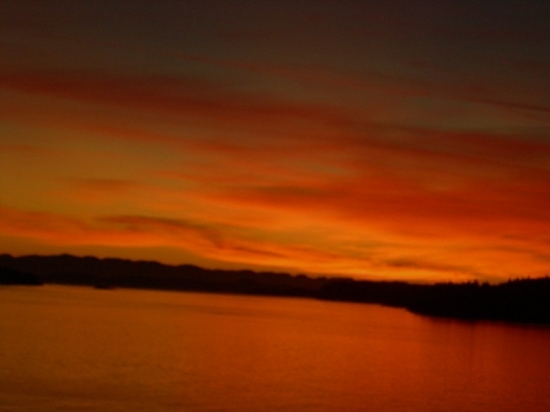 This beach is called the Sunset Beach because of its amazing and stunning sunsets! 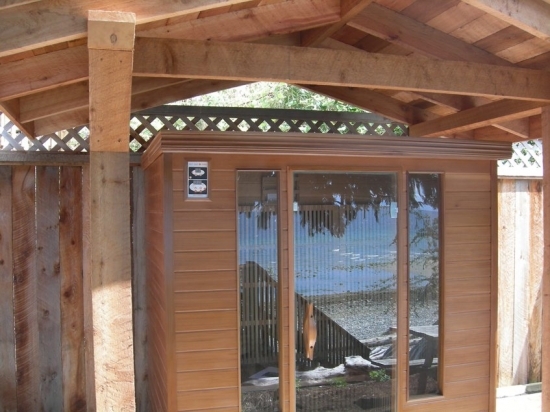 New at the Beach Hideaway is our Massage Studio and our Far Infrared Sauna at the water's edge. 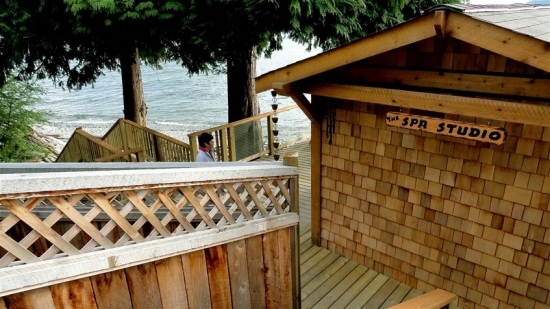 Have an ocean experience body and soul massage and infrared sauna while listening to the waves lapping up against the shore and let your eyes feast upon the view! Relax in your hot tub, as you sip on your favorite drink and soak up the view! 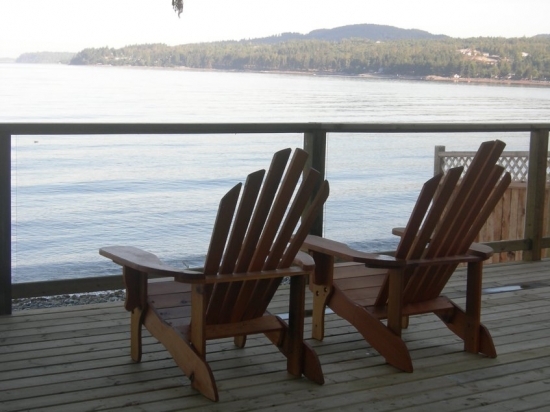 At the Beach Hideaway we offer romantic getaway packages and Beach Elopement Weddings at our romantic ocean side wedding location, on the BC Sunshine Coast, are a spectacular way to celebrate your marriage ceremony. Destination wedding packages / elopement packages, are a perfect romantic getaway venue for the newly weds. view our website for details. A delicious hot and cold breakfast is delivered to your suite each morning! 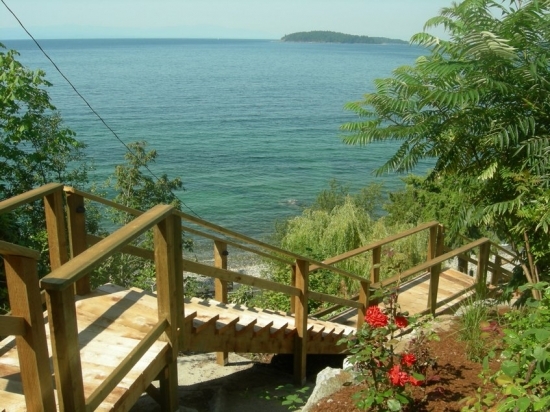 Our 3 luxury suites, are self contained with private entrances, snack kitchenette, jacuzzi or soaker tubs, king or queen size beds, fireplaces for your enjoyment, private decks with their own barbeque's, top of the line amenities and much much more!